Unions are often asked to support resolutions to protect the climate and the environment. Shouldn’t environmental and climate organizations be asked to pass comparable resolutions supporting worker rights? 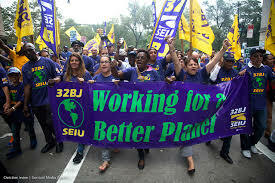 The board of the Labor Network for Sustainability recently passed a resolution on workers rights that we hope many other environmental and climate protection organizations will consider and pass.